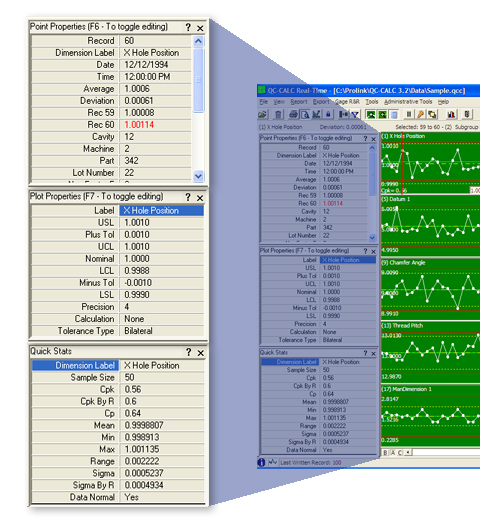 QC-CALC Real-Time SPC is used to collect and display measurement results from all CMMs, Video CMMs, and hand gages without operator intervention. You can create reports and export data to spreadsheets, databases, and other SPC programs. This means you can transfer data from all of your measurement devices to any SPC package using one program.